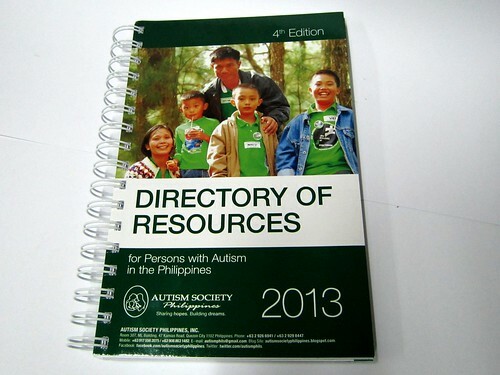 The Autism Society Philippines Resource Directory is a listing of establishments providing services and products for families who live with autism. It is a nationwide listing that has helped many families since the first edition was released. ... a business with PWA-targeted products and services -- hair salons, swimming classes, among others. ASP reserves the right to request for a scanned copy of your business permit or Professional Regulation Commission ID -- to be emailed to autismphils@gmail.com. There is NO FEE to be included in the ASP Resource Directory. We simply want to help ASP members find partners and businesses who will be sensitive to our needs. Full page advertisements are also available for interested parties. ASP members who have had a positive experience with Autism-OK establishments are also requested to recommend them for inclusion in this listing. Will you have a downloadabke softcopy version of this Resource Directory? Is this available in your office? Last copy i have is 2013 edition.